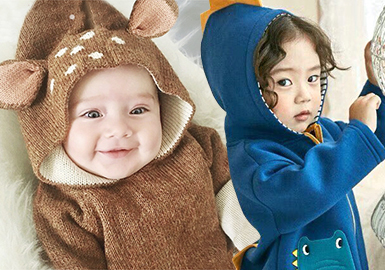 In A/W 18/19, babies' and toddlers' garments emphasize animal looks. 3D fuzzy ears or lovely animals like dinosaurs and penguins carry sweet and playful styles. Small toys are also decorated on apparel, full of fun.